Supplied as discrete cut-out adhesive vinyl labels to be attached to the marquee when erected. Standard size 4-5cm high. 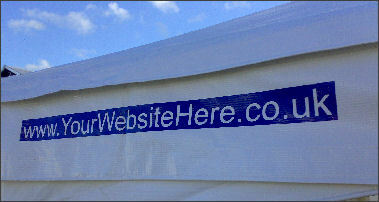 Ideal for adding your website on to your marquees for advertising purposes. Larger branding options available (please email for price with suggested dimensions).